In his words, “art is not created in a vacuum, it is directed by society, in which the artists live and work . The main objectives of his works are: Message, Entertainment and Aesthetics. Olisa Nwadiogbu, painter, sculptor, printmaker, bronze caster and cultural activist, is a graduate of the Institute of Management and Technology, Enugu. In his words, “art is not created in a vacuum, it is directed by society, in which the artists live and work . EThe main objectives of his works are: Message, Entertainment and Aesthetics. He does his works mostly from imagination using oil colours, acrylic, water colours, metal foils, glue resin, bronze etc. 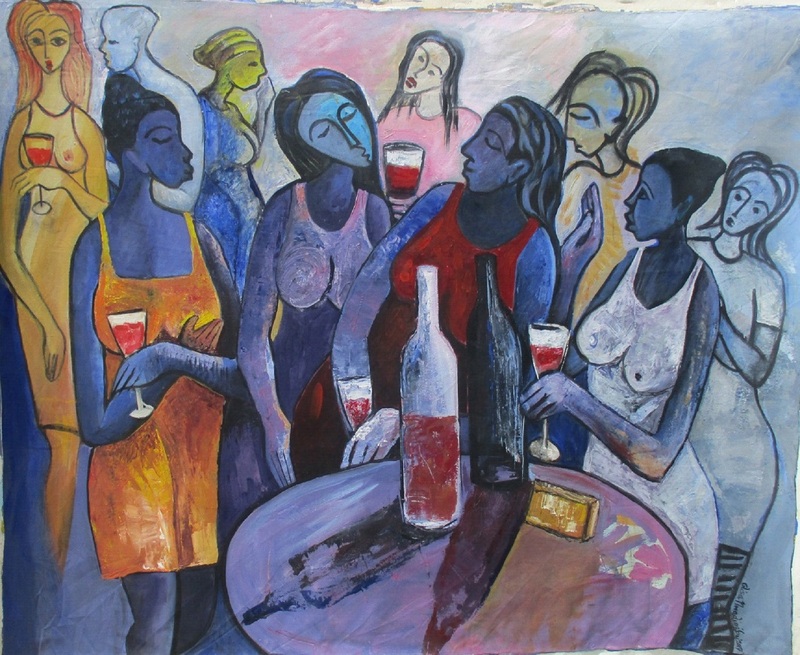 his works are influenced by by some past Nigerian masters and African sculptures. Usually the subject matter ranges from traditional concept and more contemporary concepts with narrative theme that make environmental, political and humanitarian statements.